50% nylon, 45% acrylic, 5% elastic. Sculptured toe, double welt cuff, elastic reinforced ankle with knitted arch support. 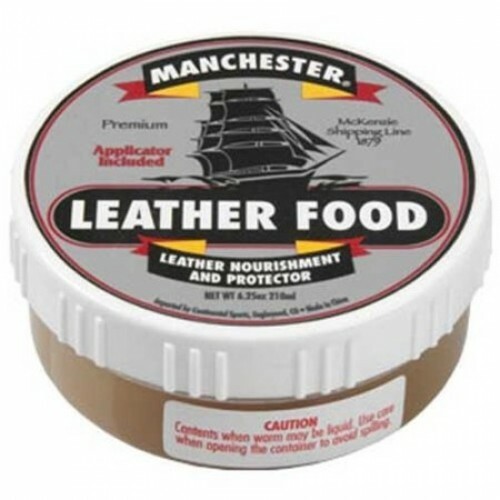 This leather food has been designed for use on all leather products. Made of natural oils and waxes. These components help keep leather soft, supple, and protected against the elements. Does not cause damage to stitching. Extends the life of the leather! 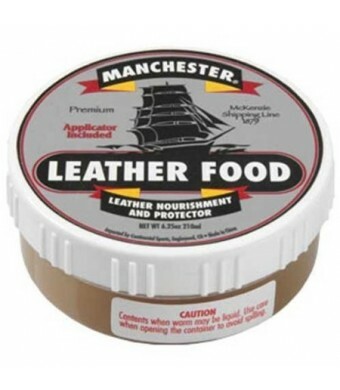 Does not prevent leather from being polished.